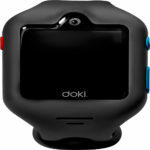 With a built-in camera, Doki Watch is the world’s first smartwatch for kids to include a fully integrated video calling feature. Parents can now see their kids anytime, anywhere! The world’s most advanced 3G smartwatch for kids 6-12 years old. It is a wearable phone and locator that combines video calling, voice calling, messaging, and location-tracking capabilities into one simple device. dokiWatch anticipates what families need in order to keep connected. Not all kids are ready for smartphones yet. 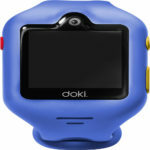 With dokiWatch, kids can lead an active childhood while parents can enjoy the security of knowing that they are safe. See your child anytime and anywhere with the touch of a button. Doki Watch can make and receive calls from a preset list of contacts. Send and receive voice messages and one-way text messages. 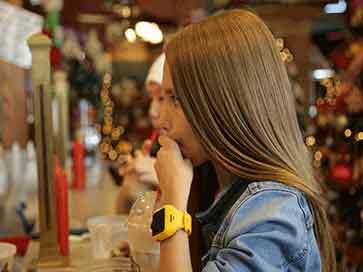 Track your child’s location using a combination of GPS, GSM and WiFi technology. Receive notifications when your child enters or leaves a preset location. dokiWatch sends immediate SOS alerts, recording, and location status to preset contacts. Remotely deactivate your child’s dokiWatch at set times such as during class. Fun activity goals encourages kids to stay active and healthy. Stay connected with your child and choose from multiple communication options.